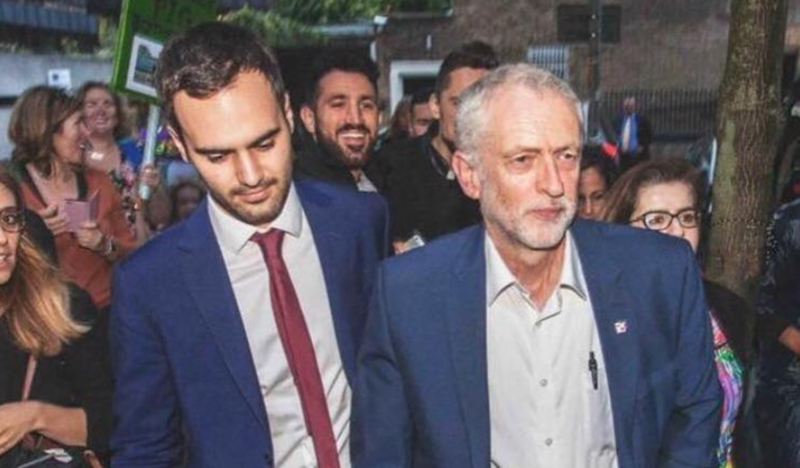 Matt Zarb-Cousin with Jeremy Corbyn in 2016. While I was addicted to Fixed Odds Betting Terminals (FOBTs) as a teenager — the machines in betting shops that allow users to bet up to £100 every twenty seconds — I never envisaged that I would one day campaign successfully against them. That addiction led me to the point of contemplating suicide, and had it not been for an intervention from my family I would have gone through with it. During the process of recovery, I spent the time I suddenly had spare engaged in politics: writing for Political Scrapbook , freelance campaigning, and interning in parliament, which ultimately led to a full-time job with the Campaign for Fairer Gambling, a not-for-profit entity funded by philanthropist Derek Webb. After four years with Fairer Gambling, I joined the Labour leader’s office as Jeremy Corbyn’s spokesperson. I returned to Fairer Gambling a year later, and following a further year of campaigning — six years since the launch of our Stop the FOBTs campaign for a £2 cap on FOBTs — we won. The government has now agreed to reduce the maximum stake on FOBTs to £2 a spin, and this will be enacted in April 2019. There is no shortage of campaigns for social change, but few manage to make meaningful impacts. Through a steep learning curve that contained significant elements of trial and error, we managed to achieve our objective with the campaign against FOBTs — and I want to pass on the lessons we learned. Every campaign is different and will require unique approaches, so I’m not proposing a one-size-fits-all strategy. But, hopefully, these tips will provide campaigners in possession of the necessary resources the means to determine their own strategy, and which tactics to prioritise and develop. Efficient use of time and resources, and methods that optimise lobbying techniques and contemporary communications strategies will give you an edge over even the most entrenched opposition. Political institutions can at times seem like insurmountable obstacles, but they can be overcome. Many campaigns have worthwhile objectives but end up feeling that they are shouting into a void. That void is the system, and comprehending how it works is the first step to bringing about the change you want. Modern politics has, in effect, created an entire industry called ‘public affairs’: lobbyists who assist corporations in navigating the political system and connecting their clients to key decision-makers. This network puts campaigning for the common good at an immediate disadvantage. Hopefully my experience will help provide a counterweight. Whether a campaign is attempting to introduce legislation, or to prohibit something that is already legal, it is crucial that the objective — or ‘the ask’ — is simple, clear, and uncompromising. 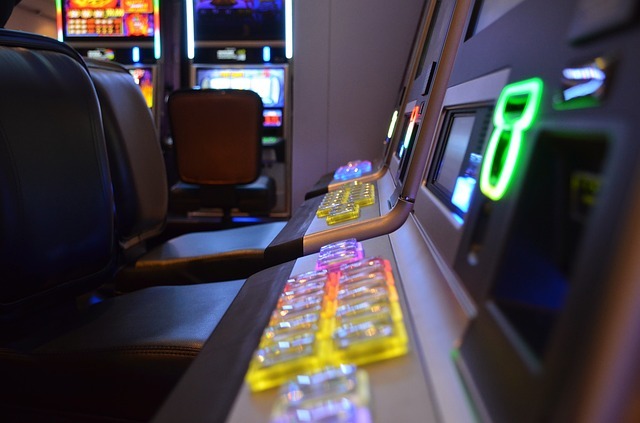 With Stop the FOBTs, reducing the maximum stake was the most effective single measure to reduce the harm associated with the product, as it would limit losses per session and eliminate the more addictive content that requires a higher staking capacity, such as in roulette. Clear policy asks like a £2 cap, that can be enacted with secondary legislation, enable MPs and Peers to coalesce around a viable solution to the problem that you wish to address. Campaigning to raise awareness of the solution — your objective — is as important as campaigning to highlight the problem. The impression that the issue has been resolved from the perspective of the public and the media is as important to the decision-maker as actually resolving the issue, so in order to attain your objective, the decision-maker has to have confidence that enacting your objective will not only resolve the issue, but also be seen to resolve it. Once your campaign objective is arrived at, everything the campaign does must pass the ‘DIRTO test’ — a simple formulation I devised, which is a question all campaigners should ask themselves when they are considering a particular action: Does It Reinforce The Objective? 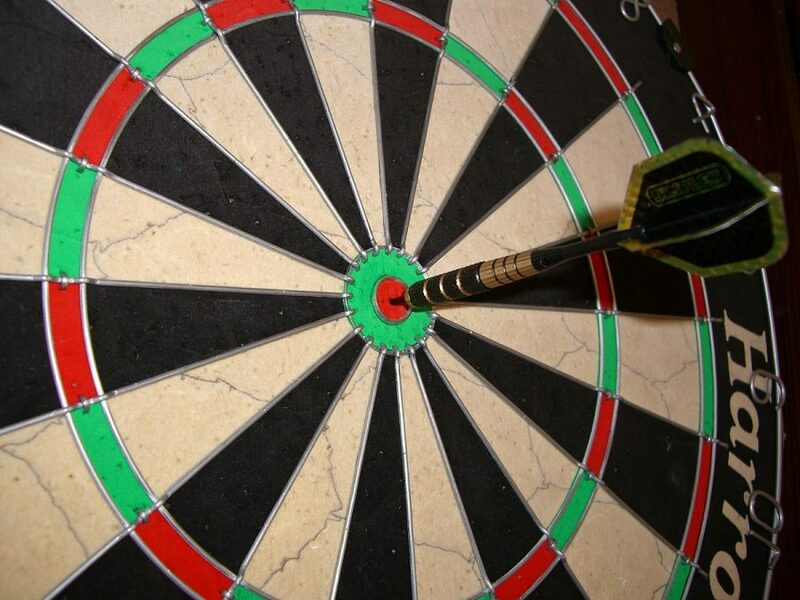 Once the objective is decided upon, the next step in any campaign is to identify the decision-maker who has the ability, like a Judge in a courtroom, to find in your favour and enact your objective. The most effective campaigns focus attacks on their opponent, which is often the sector that is resistant to the campaign’s objective. This allows the decision-maker, such as a government minister, to ride to the rescue and earn political capital. Attacking the decision-maker themselves is a common strategic misstep as it encourages those in power to form closer alliances with your opponents. 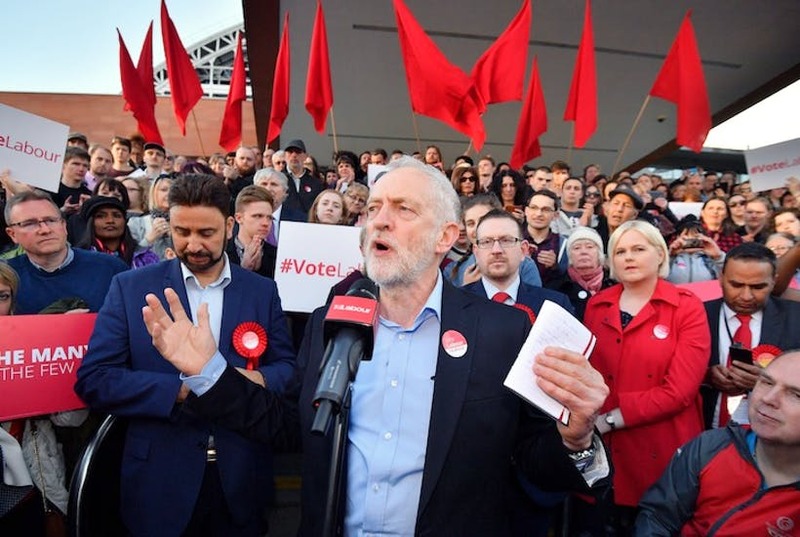 If the decision-maker is a minister, forming an alliance with the relevant shadow minister who can raise the issue will enable a campaign to put the government under pressure indirectly, thereby not creating an antagonism with the person who will ultimately decide whether to enact the change you want. In the case of Stop the FOBTs, shifting the issue onto the media’s agenda from the campaign’s inception in 2013, and the parliamentary activity that followed, led to Tracey Crouch having an awareness of our campaign while she was a backbench MP. When she was appointed the minister responsible for gambling a few years later she was prepared to listen to the evidence and called for a gambling review, primarily looking into FOBTs. Once Tracey had decided on a £2 a spin limit, which aligned with our objective, the priorities of the campaign and shadow ministers shifted to creating a context that would enable the minister to win the argument with her colleagues internally, overcoming obstacles such as the influence of Conservative MPs with close ties to the bookmakers. This was navigated successfully, and she announced the outcome of the government’s review would be a reduction to £2 a spin. She had become so passionate about enacting this policy that she resigned in protest when the Treasury decided to delay implementation to October 2019. It would not have been brought forward to April 2019 were it not for her principled resignation. Our opponents, the Association of British Bookmakers, often attacked us or made ridiculous statements in an attempt to elicit responses that would allow them to dictate the terms of debate. It’s important not to build your case by rebutting the arguments your opponent is making, as this puts you on the backfoot and grants legitimacy to your opponent’s arguments. Instead of operating within the terrain set by their opponents, campaigns need to define their own terms of debate. In the case of Stop the FOBTs, we focused on how FOBTs were in breach of the three licensing objectives in the 2005 Gambling Act: that gambling is fair and open, that it is free from crime, and that it does not harm the young or the vulnerable. The case for a £2 cap was built by proving FOBTs were addictive, facilitated money laundering, put staff at risk of abuse, and were subject to disproportionate levels of criminal damage. There is a military term called an OODA loop — which stands for Observe, Orient, Decide, Act — and describes the decision cycle. By establishing the terms of debate, you force your opponent to adapt to your OODA loop and respond rather than take initiative. This is particularly important if they have more resources and media power than you and would otherwise be able to force you onto the backfoot. If done correctly, this can lead to a scenario where your opponent unwittingly makes your argument for you by reaffirming your key points with each of their responses. During the course of the campaign, we often linked FOBTs to betting shop clustering on high streets, knowing that even when the vast majority of people might not have been aware of FOBTs, they were fed up with the number of betting shops. Each premises are permitted four FOBTs per shop, so bookmakers often opened multiple outlets to circumvent this limit. In response to this argument, the Association of British Bookmakers commissioned online adverts during the government’s gambling review which argued that a £2 cap on FOBTs would lead to the ‘closure of betting shops’. This not only restated our eminently reasonable position, it foregrounded our ultimate objective while attempting to argue against it. They were caught in our OODA loop. Effective messaging, especially popularising terminology, is crucial to defining the terms of debate. I first started calling FOBTs the crack cocaine of gambling in local radio interviews in 2012, before we had formally launched Stop the FOBTs. Subsequent press stories we briefed repeated the label. The industry-friendly ‘responsible gambling’ paradigm had been effective in devolving the cause of addiction entirely onto the individual gambler, thereby shifting the focus away from products, or solutions that involved restrictions on products. Reframing the debate around gambling addiction, by drawing a line to drug addiction, helped to emphasise its causes — which include not just the individual but the product and the environment as well. This in turn helped people to see why a £2 limit was a justified policy response. The Association of British Bookmakers and their members had various public affairs and communications personnel working in-house and for high profile agencies. But they were hamstrung by their lack of agility and failure to link their communications with their strategy to engage parliamentarians. If your decision-maker is a government minister, as in the case of Stop the FOBTs, then recruiting as many MPs and Peers as possible in support of your objective will enhance the prospect of parties making manifesto commitments that align with it. This, in turn, will increase the scope for parliamentary activity related to the issue, pushing it up the political agenda. Therefore, the communications strategy must be closely related to supporting the engagement strategy in parliament. But while public awareness generated by impactful coverage can lead to indirectly influencing MPs (often through constituents raising an issue with them) there are more efficient ways of getting an issue onto a parliamentarian’s radar. In the case of Stop the FOBTs, our first national front-page story came on 5 January 2013, and it highlighted our rigorously-calculated estimates of the level of losses on FOBTs, broken down by parliamentary constituency. We then pushed out the figures on a localised level to regional press and broadcasters, which enabled both national and local journalists to put the issue to MPs, many of whom stated their opposition to FOBTs and support for a £2 cap. When we repeated the exercise a year later, the figures once again made the front pages of national newspapers, and this time we also broke down regional figures by local authority area with a view to encouraging local councils to pass motions in support of our objective. The estimates were also available on our website, which enabled a user to type in their postcode, see the data related to their area, and fire off an email to their MP. We repeated the process of compiling the figures and disseminating them nationally and locally on an annual basis, until just before the second phase of the government’s gambling review, where we included cumulative losses since FOBTs were formally legalised, which made the front page of The Times . The figures provided a good basis for our parliamentary strategy. We subsequently contacted all MPs, including those already quoted in the press off the back of our coverage, requesting a meeting and encouraging them to be more active in parliament. Building up a core of around a dozen MPs and Peers of all parties who are active on the issue can lead to the formation of an All-Party Parliamentary Group (APPG), which provides a forum for MPs and Peers to strategise in parliament. Advocacy from a parliamentarian helps to bolster a campaign. In our case, Carolyn Harris was incredibly passionate about the issue, in addition she was recently elected so not factionally-aligned, a backbencher with time to devote to a cause, and able to work cross-party. She went on to chair the APPG on FOBTs and played a crucial role in the campaign succeeding. The lesson here is meet every MP you can, you might find one who’ll go above and beyond for the cause. Finding common cause with established organisations enables a campaign to harness both their resources and their pre-existing relationships with politicians. The coalition Stop the FOBTs had built by the time it succeeded spanned multiple political parties, think tanks such as ResPublica, multiple newspaper editorial campaigns, religious groups, non-governmental organisations such as the Royal Society for Public Health and the Local Government Association, as well as non-industry funded academics. The Local Government Association is an interesting case study, as it took many months of lobbying to get them to throw their weight behind our objective, helped by the sheer weight of council motions supporting a £2 cap on FOBTs. These motions laid the groundwork for Newham Council’s proposal under the Sustainable Communities Act calling for a £2 cap, which is a mechanism local authorities can use to request a change in the law, and within which the government is bound by statute to ‘try to reach agreement’. Newham Council’s proposal was subsequently supported by ninety-three local authorities, but was rejected by the government, before being resubmitted by the Local Government Association. This process was concluded with the announcement of the gambling review. By the time Stop the FOBTs started, bookmakers had colonised a wide array of institutions. For example, the Responsible Gambling Trust was chaired by Neil Goulden, who also chaired the Association of British Bookmakers. This trust oversaw research into FOBTs which steered government policy away from reducing the stake. This research focused solely and misguidedly on attempting to identify harm from machine data, while failing to ask any pertinent questions about the product itself or the harm associated with stakes above £2 a spin. Campaigns must be bold enough to attack and undermine institutions that have influence over decision-makers, but which are failing in their responsibilities. For example, Stop the FOBTs submitted a complaint to the Charity Commission over the Responsible Gambling Trust and specifically their handling of the research into FOBTs, which was covered by The Times . The Responsible Gambling Trust has since rebranded to GambleAware, replaced its chair, and has removed all gambling industry trustees. If you believe in what you’re fighting for, don’t let institutional obstacles stand in your way. When we first started out, it often felt like no one cared about the issue and we were on the sidelines with a political class that was unwilling to listen to the evidence. But on the home straight, practically the whole country became aware of the issue, the solution we had been campaigning for became common sense, and the vast majority of MPs not only supported it but were prepared to amend the budget to bring the implementation date forward. It took five years of hard work to get to the stage where it looked like we had a chance of succeeding. But in the end we did. Single-issue campaigns to change the law take time, but politics is changing — and the shifting context is favourable to those who want to disrupt the status quo.